Laughlin Nevada is a 13 Miles (25 minute) drive from Fort Mohave. 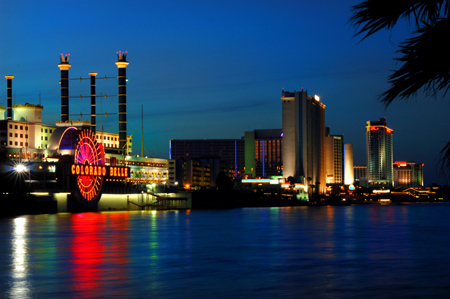 Laughlin offers casinos, big name entertainment with some really amazing themed hotels. This small town on the Colorado River really is a mini Las Vagas but without all the traffic, glitz and high costs. Also Laughlin offers a range of actives that do not include gambling such as water skiing, fishing, swimming and boating all along the Colorado River. 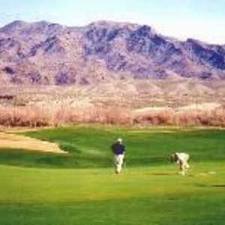 Laughlin also offers some amazing Golf courses sure to keep the avid to beginner golfer occupied and happy. These Golf course are renowned for their lush grounds and low fees. These is also an old time saloon which will take you back to the Wild West days, enjoy a beer while watching a mock gunfight. 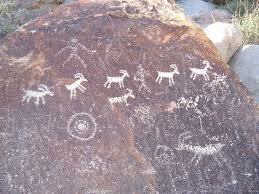 If you enjoy hiking and the great outdoors be sure to visit the Grapevine Canyons which have over 800 year old Indian Markings carved into the amazing boulders along the path. Of course if you are just there for a gamble you will not be disappointed there are plenty of casinos and gaming houses for all ages and tastes. In Laughlin there is a water shuttle running between them all 24/7. In summery Laughlin Nevada is not only affordable, but it also offers a large variety of scenic tours and aquatic fun for all the family.